PowerCom was established in May, 1995 and now located at Hsinchu Science-based Industrial Park, Hsinchu, Taiwan. 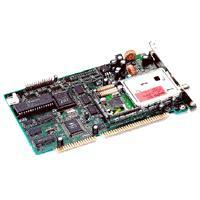 PowerCom Technology is well known in multimedia broadband communication systems. Our expertise covers customer design and OEM/ODM of digital satellite receiver, digital cable receiver, cable modem, satellite modem, subscriber management system and MMDS/CATV set-top. We devote our efforts of the research and development in the interactive video and broadcast communication system to achieve the goal--be the pioneer in this field. PowerCom was the first company in Taiwan to provide both cable modem system solutions at several MSOs and digital satellite receiver with Internet solutions. As a leader in broadband field, PowerCom will continuously strive for contribution to interactive video and broadband communication system.